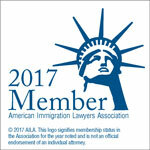 Our immigration attorneys have represented clients in all aspects of immigration for more than a decade. We take on some of the most difficult cases and fight diligently for results. Jose C. Campos has continuously been recognized by our clients and peers for excellence in immigration representation throughout the United States. Immigration matters are too complicated to handle alone. Whether you are trying to become a citizen or assisting a family member in moving to the United States, you are faced with complex laws and confusing paperwork. Our firm can help you understand how the laws affect your situation, and we can guide you through all aspects of your immigration case. Hughes Campos has the experience you can trust! Our firm has helped clients with a variety of family and business immigration services.